Don’t Abandon your Car, Recycle it Instead! Did you know that around 80% of a car can be recycled including aluminium from the body, the battery, windshield and tyres? 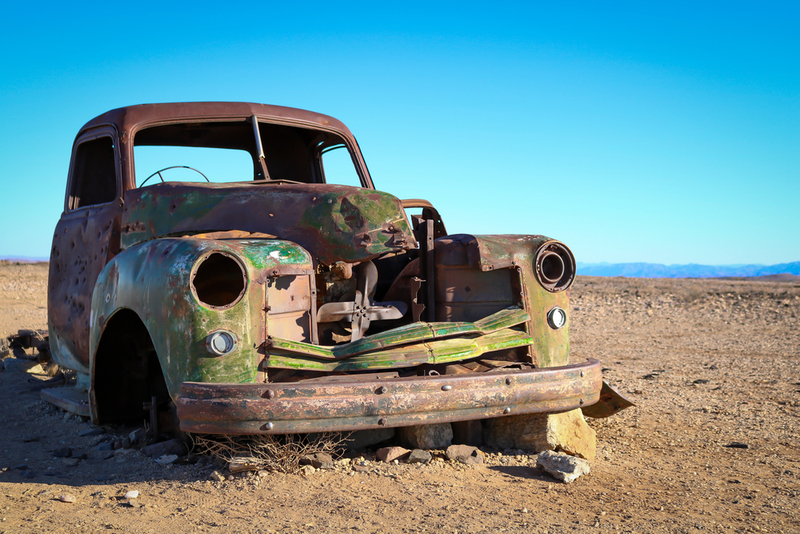 Sadly, thousands of cars are abandoned around Australia every year by drivers looking to avoid the costs of professional disposal, but the costs of this method of disposal are far greater than the cost of say, towing a car to a scrap yard. This week, we look at why you should not abandon your car and how you can make money from recycling it instead. Whilst you might think you’re saving money by dumping your car, all you are really doing is fobbing off the cost onto your local council, who must jump through a number of costly and time consuming administrative hoops before they can collect, impound and eventually scrap or sell the vehicle. Of course, the time and money that local councils have to dedicate to managing abandoned vehicles is being payed for by you, in the form of council rates, which would otherwise go towards improving your community. That rust bucket you’re thinking of getting rid of is full of highly toxic chemicals including petrol, oil, battery acid, transmission and brake fluid, diesel and coolant which can leach from the car into the ground (and eventually the groundwater) as the vehicle deteriorated in the elements. Abandoned cars are a fire hazard as if they are surrounded by dry dead leaf material in the bush, they can spontaneously combust and cause a fire, or accelerate a fire that is already burning to send it out of control. Submerged cars are also a huge issue and can become a deadly unseen hazard for swimmers, wildlife, and water vehicles. Aside from being dangerous and environmentally hazardous, abandoned cars often become a beacon for other people looking to illegally dump their rubbish, and can result in a large area being ruined by not only car chemicals and rusting parts, but abandoned appliances and household garbage which exacerbate the problem as well as create new issues (i.e. attract scavengers). Abandoning your car is not only dangerous and wasteful, it’s more time consuming and costly than getting in touch with a scrap metal recycler. Metal men offer 24 hour scrap metal pickup services for all metal scrap and are happy to pay you on the spot for your old vehicle. We guarantee fair rates and can pay in cash, cheque, or by EFTPOS. To enquire about our pickup services, please don’t hesitate to get in touch with us by calling 03 5941 6677.